Since 1996, Armor Building Solutions has been the storm protection company that homeowners and businesses have relied on for hurricane protection through even the worst weather. Our staff of experienced craftsmen and installers of all types of storm protection have installed thousands of storm protection systems throughout the Southeast. From hurricane accordion shutters to impact shutters, you can rely on our professionals to add another layer of essential defense to your home. Nothing makes us happier than knowing our customers feel a peace of mind having Armor storm shutters protecting their homes and families when even the angriest storms roll in. After so many years why do we still craft our storm protection right here in South Carolina? We don’t do it because it’s the easy thing to do—we do it because, for us, it’s the only way to do it. You see, we live and work in Bluffton, South Carolina. Our backyard is the perfect testing ground to make the finest hurricane shutters and storm protection. We bask in our subtropical weather but sometimes our climate gives way to raging storms and hurricane winds. It is under these conditions that we design, test, and manufacture our hurricane protection. These ever-shifting conditions keep us honed in on making the best all-weather performance storm protection you can purchase. At Armor Building Solutions we believe that truly great products are built from a passion for excellence. This is why we are such firm believers in crafting products made by American hands and materials. Once your new hurricane shutters or storm protection products are installed in your home, you’ll be proud to know that they are not only built-to-last but built right here in the United States. Our state-of-the-art hurricane shutters are built to withstand tremendous rain, high-velocity winds, and debris. Don’t settle when it comes to the safety of your home, your belongings, and most importantly, your family. 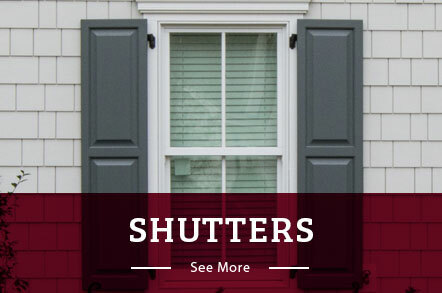 Choose the hurricane shutter installers at Armor Building Solutions for your next home upgrade. With locations in Bluffton and Georgia, we proudly serve Savannah, Southeast Coastal, Myrtle Beach, Charleston, and the surrounding areas. Feel free to call us or fill out our online form to request your free, no-obligation estimate.